Myths take hold ­because either A) they seem completely logical or B) they are so often repeated that they just become common knowledge. The warped rotor myth is a little bit of both. A rotor that contributed to a pulsation condition certainly appears “warped.” Plus, everyone says it — even technicians that know the rotor isn’t ­really warped will say it as shorthand. Rotors are cast in extreme heat — three to five times greater than the most aggressive braking situation. Physically “warping” a rotor would require a similar application of extreme heat, which is impossible. Obviously rotors aren’t invincible. 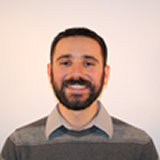 They can crack, break and develop irregularities that lead to pulsation, but all of those problems start to develop in other ways that need a technician’s touch. Runout is a measurement of the difference between the high and low spots in the hub and on the rotor. On each revolution of the wheel, as the high spot of the rotor scrapes unevenly with the hub or applies friction unevenly with the pad, the results for the rotor’s face are just that — uneven. • Variations in manufacturing tolerances. Other vehicle components can exacerbate the problems with runout. 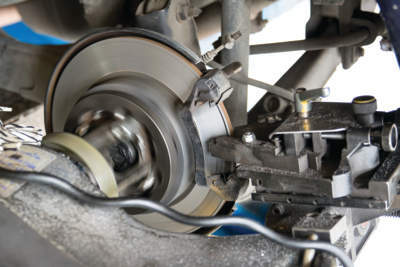 For example, if a vehicle’s floating or sliding calipers aren’t sliding as they should, that will prevent the caliper housing from moving, and any runout can cause pulsation. 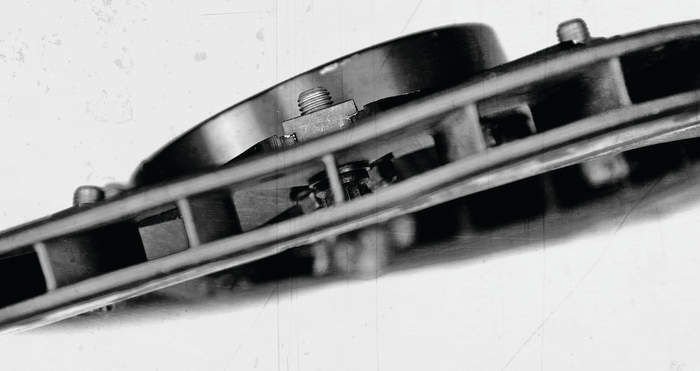 The caliper piston will move in and out as the rotor rotates resulting in fluid movement and pedal pulsation. Fixed-caliper vehicles are sensitive to runout induced pedal pulsations as well. Fixed calipers have pistons on both sides of the rotor due to the stationary caliper housing. Excessive runout will cause piston movement and can result in pedal pulsation. New: Over the past 30 years, factory runout specification have fallen from as high as .015″ to .000″ (or no detectable runout) for some vehicles. These tightening of the tolerances is due to changes in suspension design, friction formulations and caliper designs. When runout moves beyond specification set by the manufacturer, the uneven application against the pad will lead to disc thickness variation. This is the real culprit behind most of your “warped rotor” claims. A normal braking event requires a brake pad to be applied squarely against the rotor. Each time this happens, a tiny layer of friction is removed from the pad and is deposited on the face of the rotor. A rotor with runout beyond the specs cannot receive that even application of friction, which means it starts to receive an uneven deposit of friction on its surface. Disc thickness variation is just that — the rotor is now thicker in some spots thanks to the extra layers of friction, which all started because of lateral runout. The DTV is the thickest area minus the thinnest area of the rotor. The thickness variation is subtle, but all of these details add up. When the thick part of the rotor is forcing itself through the caliper, the torque of the brake and the pressure in the caliper rise. When the thin spot passes through, the torque drops and pressure drops. Very small amounts of DTV can create a significant problem. More late-model vehicles are built with a thickness variation of less than 0.00078”. Thickness variations in excess of 15 microns (0.00059”) can easily generate driver complaints. • The suspension. Unibody vehicles with strut suspensions are more sensitive than those with a separate frame and body. • Wheel bearings. Unitized bearings, in particular, are preloaded and have zero play, which means there is no wiggle room for runout. 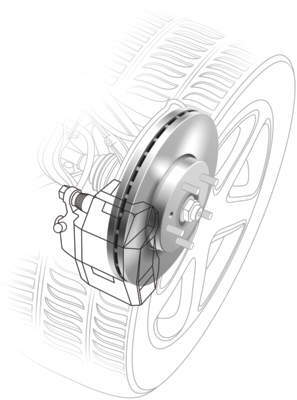 Any high and low spots will scrape the brake pads with every revolution of the rotor — braking and non-braking. • Calipers. Some have lower running clearance and higher initial mounted lateral runout. The rotor can also show friction variation around its circumference. Any spot that has more slip or stick to it relative to the rest of the rotor will result in different levels of torque. Variations in friction will generally be the result of corrosive or contamination effects. There will most likely also be DTV, but the friction variation is possible without DTV. Friction variations can occur when a vehicle has sat undriven for extended periods of time. Cold brake roughness manifests in a similar feel of pedal pulsation or steering wheel vibration, and in severe cases, there will be speed-related surges in deceleration felt during normal driving and light braking. This phenomenon is caused by lateral runout that exists when the rotors are initially mounted on the car. Over time, this gradually turns into disc thickness variation due to inconsistencies in the lining only touching the higher spots of the rotor during off-brake driving. The problem with myths is that are convenient. Assuming you need to wear a hat in winter to avoid catching a cold because your grandmother told you that a thousand times is much easier than actually researching the science behind it. Just put a hat on and hope for the best. 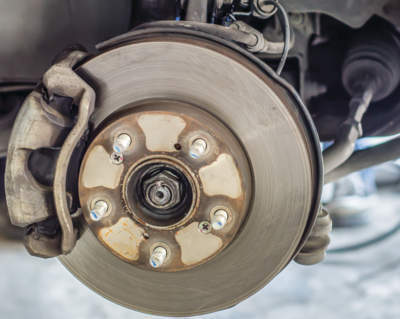 That mentality is troublesome when it comes to servicing brakes — saying a rotor is warped easily puts the blame on an ineffective part that needs to be replaced when that isn’t the case. Understanding that a warped rotor is a myth is to understand that there are other causes for the braking condition and additional work is needed to do the job right. This may seem like a matter of semantics, but mischaracterizing the root problems of pulsation just perpetuates the myth.